Is your brand ready for Amazon Prime Day? Amazon Prime Day is July 11 this year. Check your brand performance on Amazon with our free product content grader and read below for guidance on how to make the most of this giant shopping day. It’s a longer event. 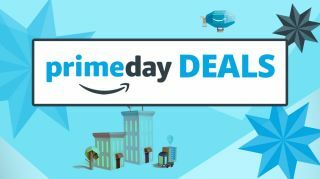 Since 2015, when Amazon held its first Prime Day, the company has used the event to provide deep discounts and exclusive offers to its Prime members. This year, the event will begin at 6 PM PT instead of midnight. There will be 30 hours of exclusive deals for Prime Members, instead of the usual 24. Expect more shoppers on Prime Day. There are reportedly now 80 million Prime members in the US - and that number is set to climb. 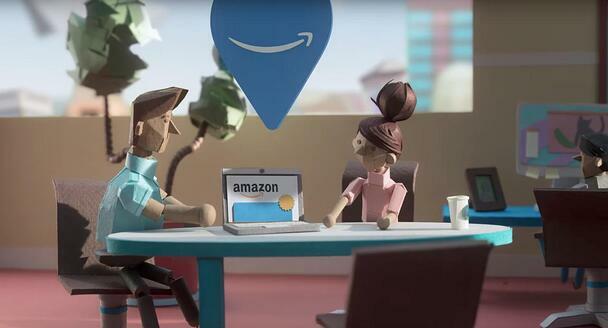 Amazon is offering a 30-day free trial and reduced membership rates for qualifying customers. People who have a valid electronic benefits transfer card can now pay $5.99 per month. This special rate will impact about 18% of U.S. households. Prime membership has doubled since the first Prime Day in 2015 and impacts nearly 64% of households across the country. 1. Start with a performance baseline. Check your content on our product content grader for Amazon. You will receive an overall product content grade and analysis of 10 of the top product SKUs for your brand on Amazon today. You can use this as a guide on what aspects of your product page need the most improvement. 2. Ensure your inventory is in-stock and easy to find. Amazon’s inventory ordering systems are automated. Check your inventory forecast by item to determine if you are prepared for more sales on Amazon Prime Day. Last year's event had an estimated $500 million and $600 million in incremental sales. Work with your Vendor Manager and In Stock Manager to ensure your items get ordered appropriately. In addition, ensure your products are appropriately categorized. Set up each of your products in the appropriate browse node, which is the location (category/subcategory) on the Amazon site. 3. Optimize existing content. Make sure your existing Amazon product pages are as good-looking as possible. Review your descriptions for important keywords. Optimize the titles of your items to help shoppers find them via Google search and directly on Amazon. Evaluate the quality of your product images. We recommend using a minimum of 3 product images per SKU. 4. Expand available inventory. The products you sell are more likely to convert on the additional traffic of Prime Day. Assess which products you can add to the site in time for the big sales day. If you can onboard new products in time for the sale, you may see increased revenue. 5. Strategically invest in A+ content. You can use A+ content (video and additional images embedded on your Amazon pages) to drive more conversions and earn sales. This is a paid opportunity on Amazon so evaluate which of your product pages may need this additional boost in conversion rates and enhance your pages strategically. Tell your product story with images and flesh out the details of your items with bullet points that clearly stating benefits and key features in supporting paragraphs. Even if you are competing with Amazon for online sales, you can still look to improve your performance on Amazon Prime Day. For this we can turn to some of the lessons learned in the aftermath of last year's event. Prepare for 3x the web traffic. Last year, Amazon Prime Day contributed to an uptick in traffic on other retailers' ecommerce pages. Sites such as Target, Macy's, Walmart and Best Buy all experienced boosts in traffic on July 12, 2016 with some retailers seeing traffic rise threefold compared to a normal Tuesday. Build out your curated collections. Amazon found that in its initial sales year, some Prime members were upset that the event was merely a warehouse clearing sale. In response, Amazon stepped its game up last year to provide a host of curated collections and exclusive items. The result was bigger sales results in 2016. Take a cue from the retail giant and aim to delight your customers with exclusive experiences and product collections.